Had an unexpected sidebar to my time in London when the opportunity arose to attend a football game. The friends I’m staying with in Holloway had access to a spare season ticket for Arsenal. 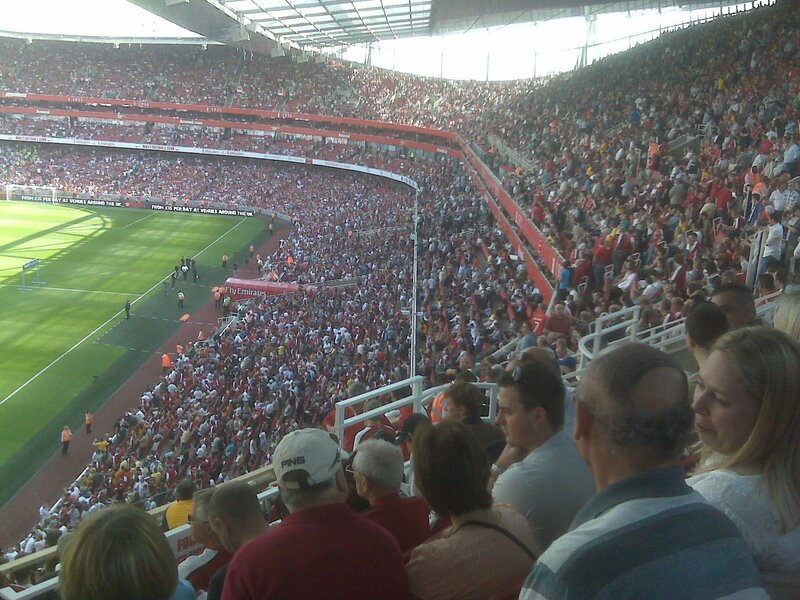 The game, in the spectacular Emirates Stadium just 5 minutes walk from their house, was against Stoke. It turned out to be a festival outing, with Arsenal winning 4-1 in gorgeous sunny weather. A great experience to hear 60,000 footy fans in full voice. The Brits do take it all very seriously. Later on it was dinner sitting outside around a fire pit, in the mild evening. Having food and wine with good friends – it doesn’t get much better than that. Today is a bank holiday Monday over here, so no chance for meetings. Tomorrow it’s Rawiri Paratene at lunchtime, and then Gillies Mackinnon in the evening – looking forward to it.